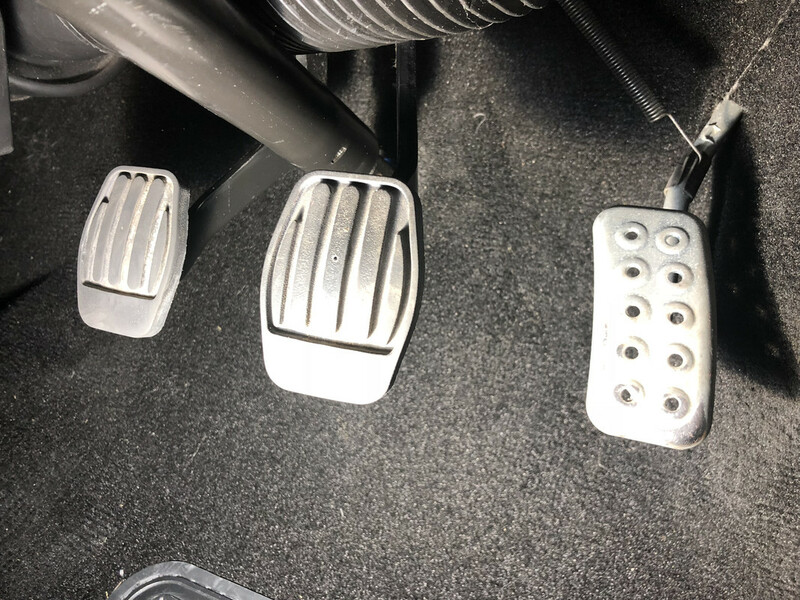 what do people use to clean the pedals? There's 2 rubber pads and a metal pedal. I'm worried that anything I use would make them slippy which is obviously not a good thing. I've taken a closer one of the accelerator pedal as it obviously needs some work. I did mine at the weekend just gone. I sprayed them with APC/ AG Interior Cleaner and then used a nail brush to get in the grooves and wiped clean with a microfiber. Each pedal took two hits to get completely clean and then I just left them. I didn't want to apply any dressings as I didn't want slippy pedals. I imagine with the metal pedal, firstly clean it with maybe shampoo and a gentle brush and then see if any metal polish will bring it up? Similar to what you would with an exhaust. All my pedals are metal and i just hot them with a strong mix of BH Surfex, rinse and dry then use one of those impregnated metal polishing cloths to bring up the shine.